The very first sketch I did when I went to Austin, Texas. 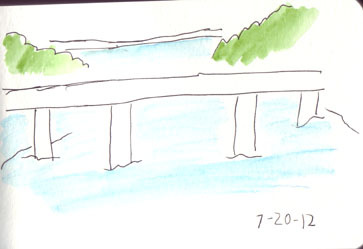 This quick sketch was done with a Uniball pen from the bridge on South Congress Avenue. Watercolors (the colors you see here) were added in soon after. 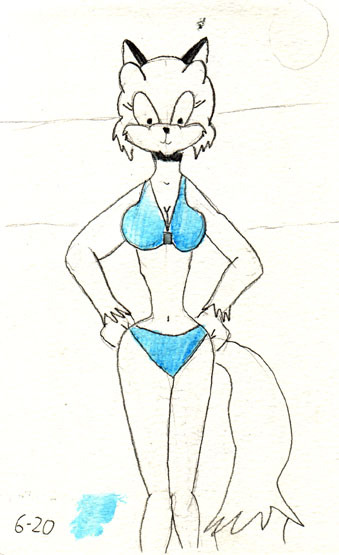 This is how Hilda Otejekker dresses for the beach. The legs are strange looking. I’m going to have to work at this some more and probably use reference next time around. 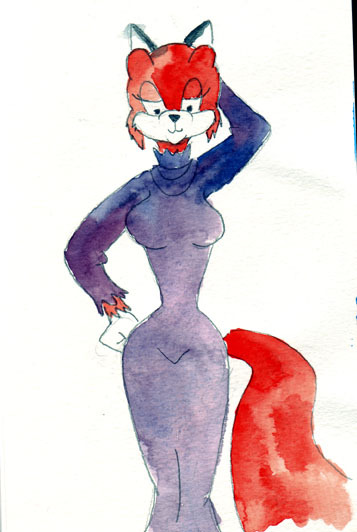 I also had a bit of trouble with some of the watercolors (as you might notice in this image). Here’s another page from the Moleskine watercolor book. This is a close up of Hilda Otejekker in her low-cut black dress – giving us all a flirty wink. Black watercolor is a neat tool to play with. Diluted or at full consistency, it can give a range of tones. Everything has been set. Next week, on Friday August 20th, I’ll be taking a “mini-trip” down to Austin, Texas. My plan is to fly down there on Friday, spend all day Saturday wandering around to draw, paint, and take photos, and fly back home on Sunday. The bag you see pictured here is a Lowepro Edit 110. 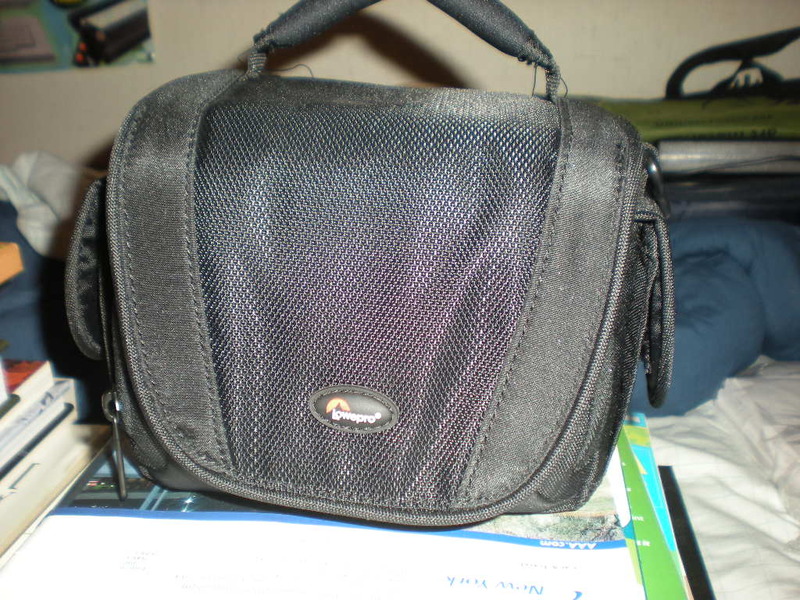 It’s a digital video and camera bag, but it will be used mainly to carry my art supplies (digital camera included). This isn’t my first time to Austin, Texas. I had visited there back in April and had a blast. As I did that time, I’ll be wandering around the South Congress district of Austin. I will have pencils, pens, inks, and watercolors with me. Whatever I see, be they people, buildings, plants, or landscapes, I’ll sketch it. I also aim to take a few hundred photos. I’ll be sharing drawings from the Moleskine sketchbook that I will have with me once I return. Wish me luck everyone. Here’s another sample from the watercolor sketchbook. 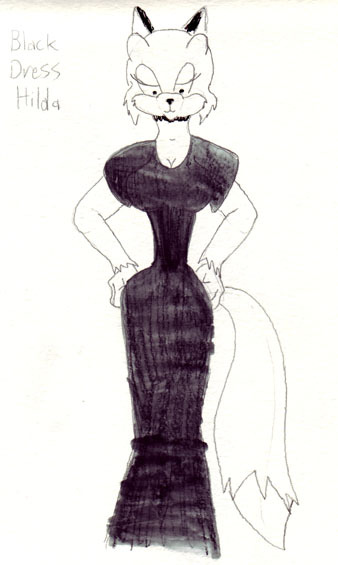 Here’s Hilda Otejekker, the wealthy young vixen in a rather low-cut black dress. I used pencil and black watercolor for this work. Watercolor is a cool medium. Much like ink, acrylic paint, and to a lesser extent, gouache, you can dilute it with water and get varying shades. I thought I’d do an actual color study of Hilda Otejekker, the lady of my duo, Hilda and Richie. So after a pencil drawing in my Moleskine watercolor book, I pulled out my Winsor Newton Cotman watercolor pocket box and went to work applying color. It was almost immediately that I remembered why I moved away from watercolors. It’s a hard medium to work with and can be tricky to control. While I used my standard watercolor pencil to do the black for Hilda’s ears, nose, and eyes, I used orange from a pan in the pocket box. As for Hilda’s purple dress, I didn’t have a ready made pan for purple. So it took some mixing of red and dark blue to get a proper purple down. I came up with a few different blends in the mixing process – hence you can see that in Hilda’s purple dress. The watercolors may be kind of messy, but it still adds a certain charm to my work. This entry is more of a personal one. I’ve had the urge to actually do some traveling and in the process, do some outdoor art in my travels. In the coming weeks, I’m planning to head down to the Southern USA with some art supplies to do on-site sketching and painting. I haven’t decided on where I will go. I’m leaning towards Richmond, Virginia – the capital of Old Dominion. However, I’m also debating going back to Huntsville, Alabama, back to the state of Texas, or visiting for the first time the state of Tennessee. Why am I doing this? I feel that doing some traveling and capturing what I see in the form of watercolor sketches, pen drawing, and pencil drawings can really help me grow as an artist. It will help my skills, I’ll learn some more practical application of color, and I’ll get reference to use in my artwork as well as my comics. The main inspiration for my trip was one taken by my favorite artist Paul Klee (1879-1940) along with August Macke (1887-1914) and Louis Moilliet (1880-1962). In 1914, these three artists went to the North African country of Tunisia. The country was very influential on their artwork and they produced many studies there that helped shape their own styles. There’ll be more information as details develop on my planned trip. 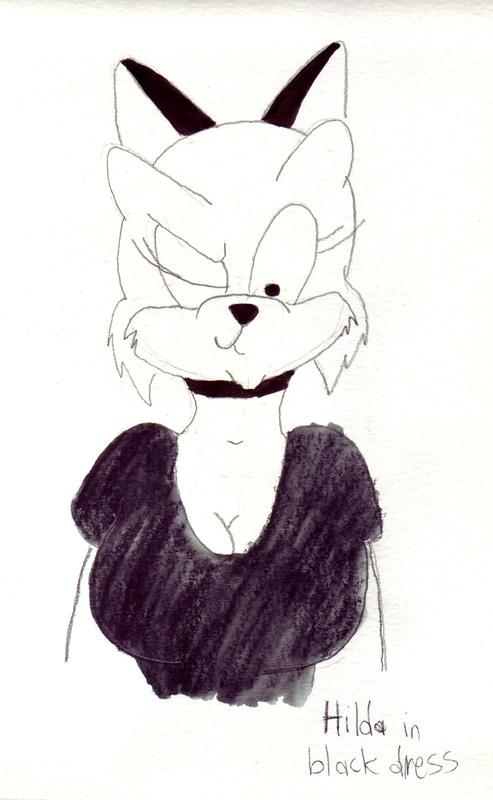 Plus you’ll see my sketches posted here to my blog.